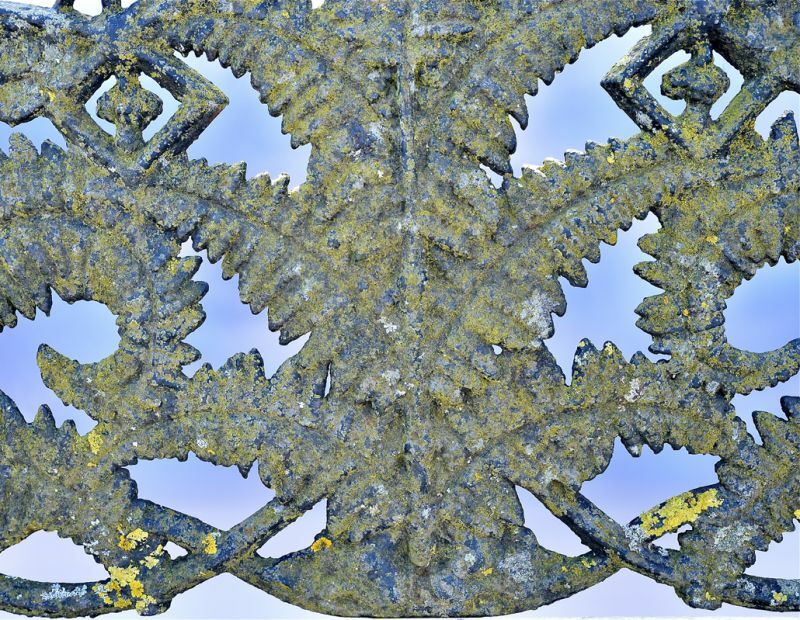 Late 19th.c. 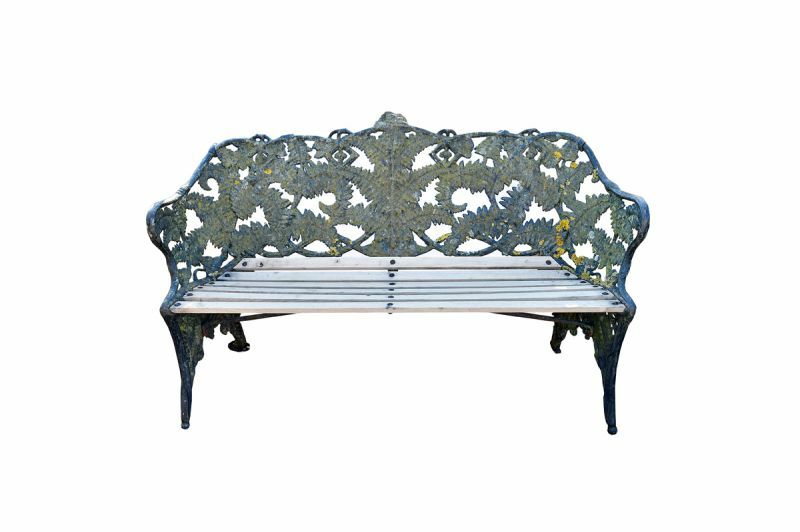 cast iron garden bench c.1890. 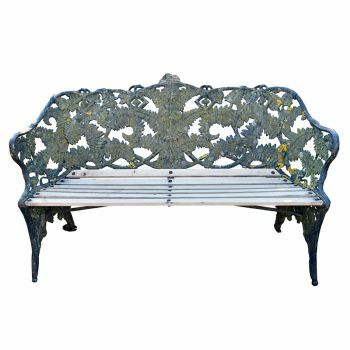 Cast with Coalbrookdales famous fern and blackberry pattern, the distinctive design runs around the shaped sides of the benches and continues down through the legs. 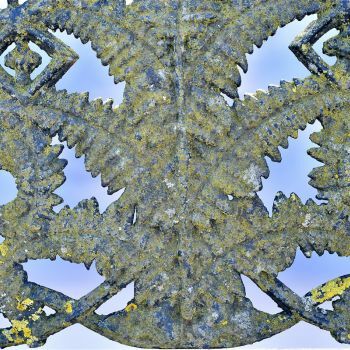 Some restoration on the slats but the iron work has been untouched and is in a wonderfully aged condition.